Milk caramel praline sea salt truffles. 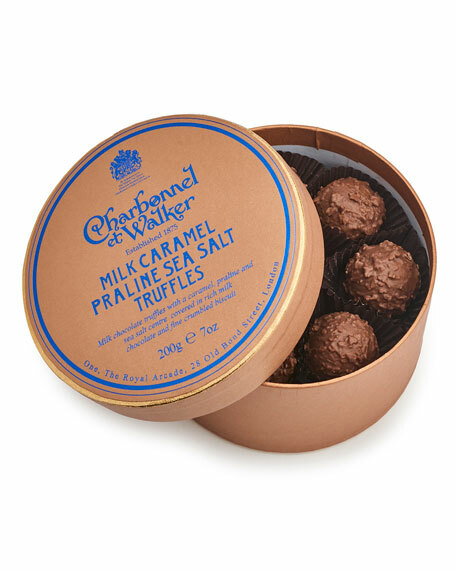 Presented in signature Charbonnel Et Walker round truffle box. Allergen Information: Contains tree nuts, milk and soy.